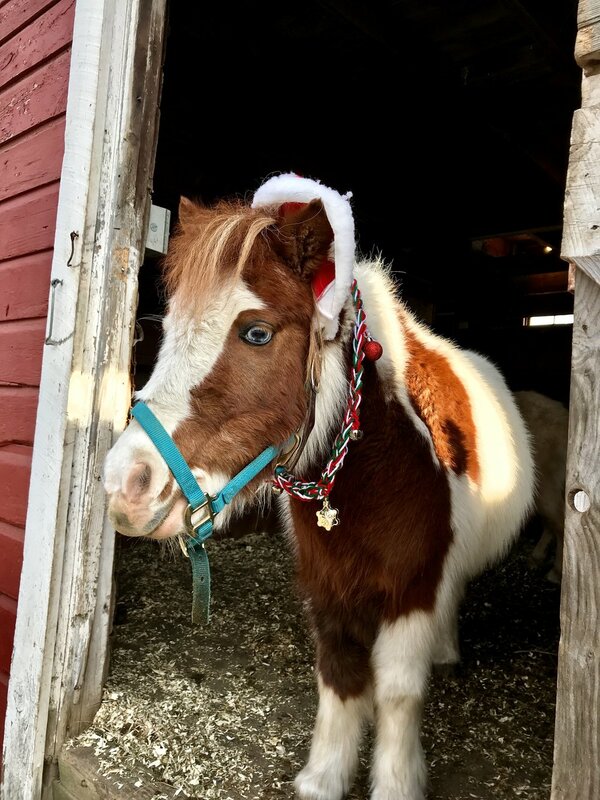 Dogs and horses..what a perfect way to begin the holidays! 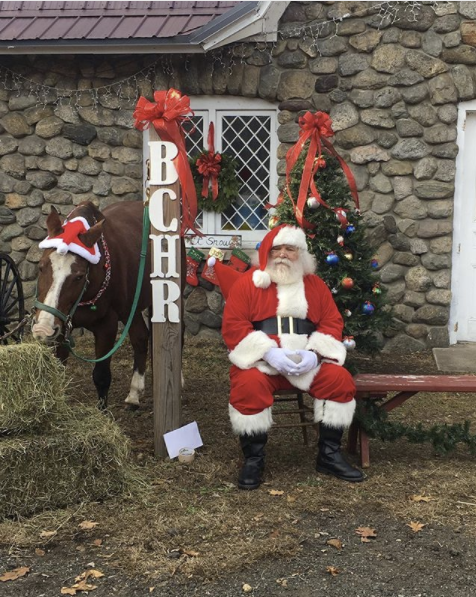 Santa officially arrived at the BCHR in early December to take photos with local children. Oscar was a huge help and stood by Santa to help greet the kids! 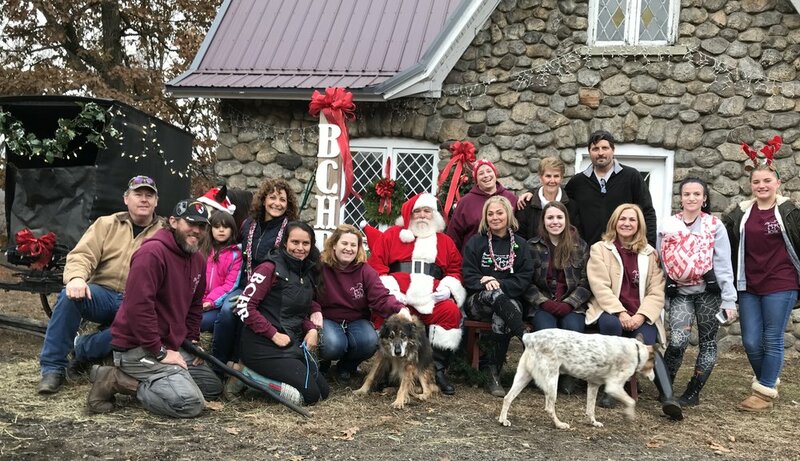 The Northstar Pet Rescue brought adorable dogs of all sizes wearing festive Christmas sweaters, and these pups were loved and cuddled by everyone at the farm. Visitors also enjoyed hot chocolate, snacks, music and bought hand-crafted live fur wreaths created by our volunteers.